There is a list on Leeann Fortenberry’s refrigerator that she looks at every day. It’s filled with 50 seemingly ordinary activities – talking, reading, doing crossword puzzles – that remind her of all that is possible for her daughter, Faith. Now that list is about to get a lot longer. 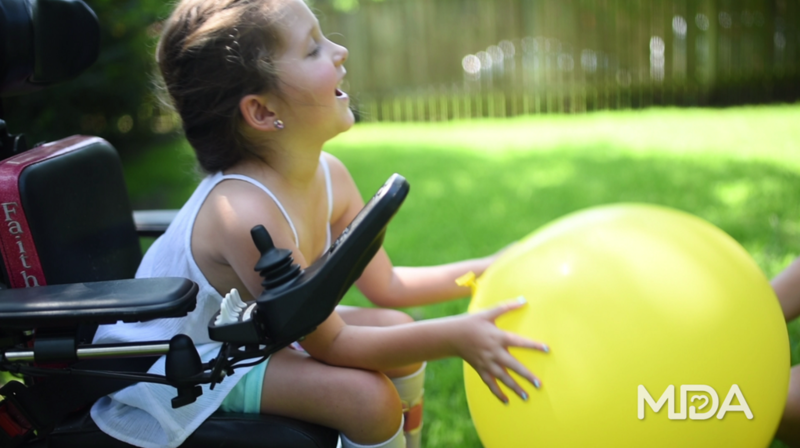 That’s because Faith, who lives with spinal muscular atrophy (SMA) type 2, has begun taking Spinraza, the first FDA-approved drug to treat SMA, and she’s regaining strength in her lungs and abilities – like raising her hands above her head – that she had lost. It’s been a long road to get here since Faith was diagnosed in 2013. But the Fortenberrys have – no pun intended – put a lot of faith in the hope that Spinraza represents. The medicine, dad Don says, is nothing short of a miracle. “I call our doctor ‘superman’ because he is the one injecting this drug into our little baby and it’s just amazing,” he says. Amazing is a word that gets used a lot when describing the spunky 5-year-old from Texas. Diagnosed at 17 months, Faith is an incredibly inspiring young girl who doesn’t let living with SMA stop her from being a kid. As mom Leeann says, “She’s silly. She’s bossy. She doesn’t let anything stop her. If someone asks what’s wrong, she immediately says, ‘I have a muscular disease. Big deal.’ Her personality is just bubbly. She’s confident. She’s smart. You know, we karaoke Thursday nights and she’s been getting up since she was two years old and taking that mic and letting everyone know who’s boss. I could never ask for a better kiddo. She’s just fun. She’s positive. She’s happy. She’s sassy. Sometimes I don’t even believe that she thinks anything’s wrong with her. And now SMA won’t be holding her back, either. The Fortenberrys are grateful that there is a treatment for their little girl but also optimistic about what the future holds for everyone who lives – or loves someone – with a neuromuscular disease. That’s why it so important, the Fortenberrys say, to continue funding research, not just for their Faith, but for families in hometowns across America. 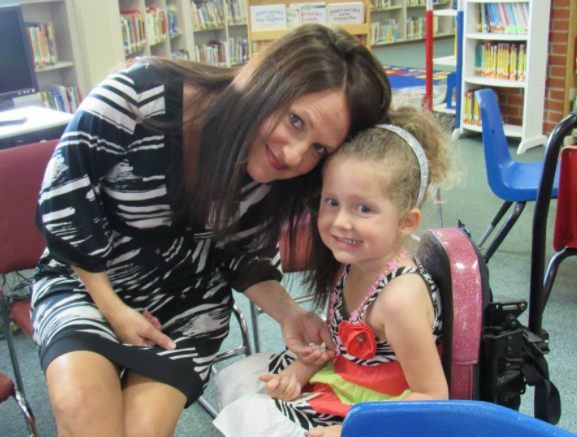 “The Muscular Dystrophy Association is everything for families like us. Without it our kids wouldn’t have MDA Summer Camp where they get to go every year for one week and just be a regular kid. Without it there wouldn’t be drugs like Spinraza. So it’s so important for people to give and to help,” says Leeann. Help adults and kids like Faith continue to live longer and grow stronger.